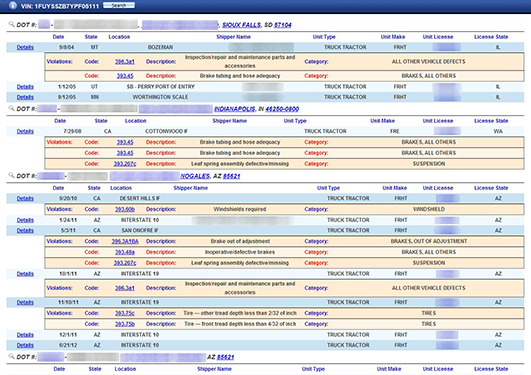 for in-depth motor carrier analysis. 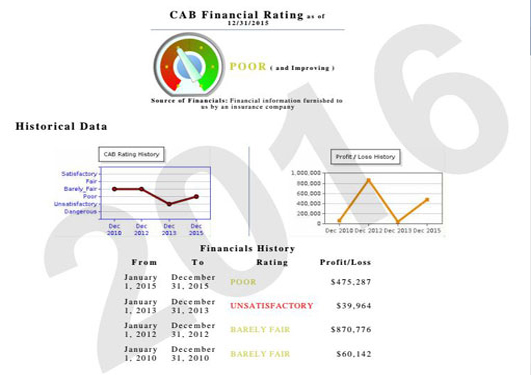 The CAB Rating and Financial Analysis has been provided exclusively by us for over 75 years. 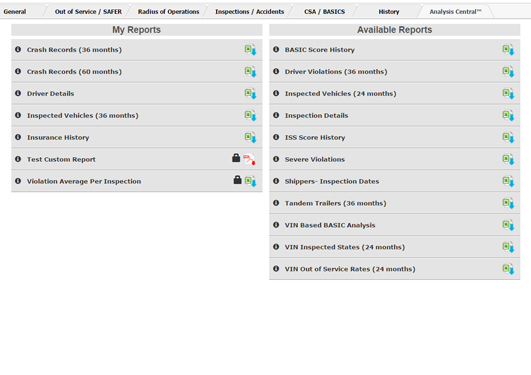 Our reports are the accepted industry standard, offering the most advanced and comprehensive analysis available. 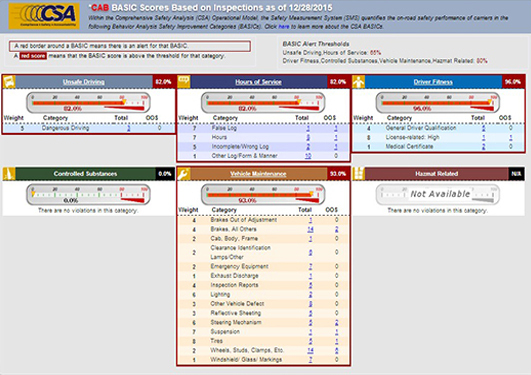 The user-friendly layout, interactive capabilities and focus on highlighting relevant issues are critical to making informed decisions. Our proprietary and multi-point matching algorithms allow even the most basic user to understand the relationships and potential fraud exhibited by Chameleon Carriers. Our vast data warehouse and development team can provide customized modelling and software integration solutions for your unique data requirements. 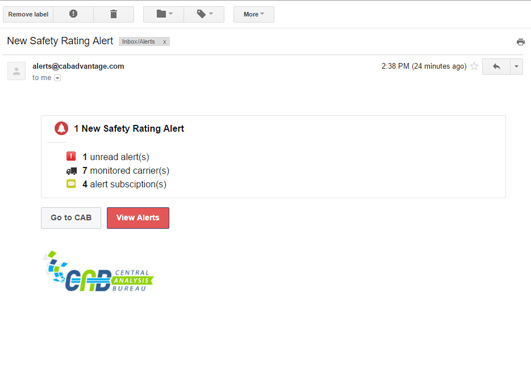 Benefit from real-time alerts notifying you of critical changes to an account. 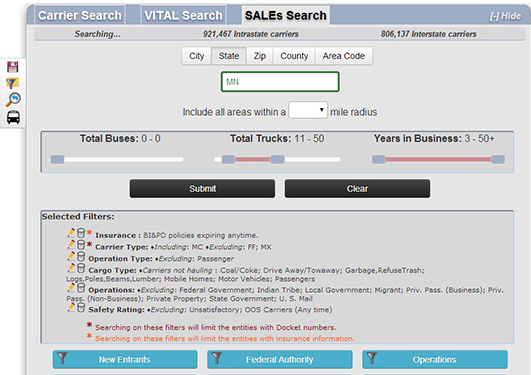 Search the expansive inspection, crash and violation history of vehicles and the motor carriers that operated them using as little as a partial VIN or license plate. We offer the industry's most advanced leads generator providing you instant access to the most up to date list of motor carriers tailored to meet your exact operational, safety and geographic appetite. 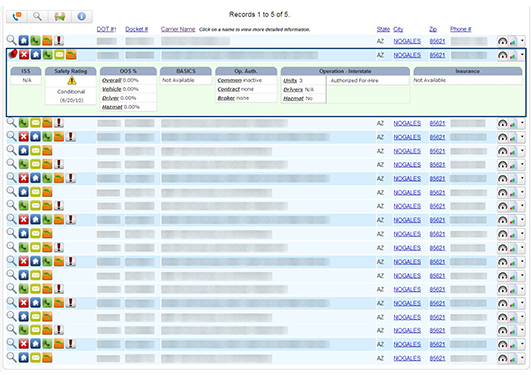 A world of data translated into meaningful and actionable information. Empowering you to make better decisions each and every day is the CAB difference.